Who doesn’t love a gold cherub! The Gold Cherub Christmas Wreath has the little beauties flying with arrows at the ready, so be warned, you may just find love if you stand near this wreath over the festive season. 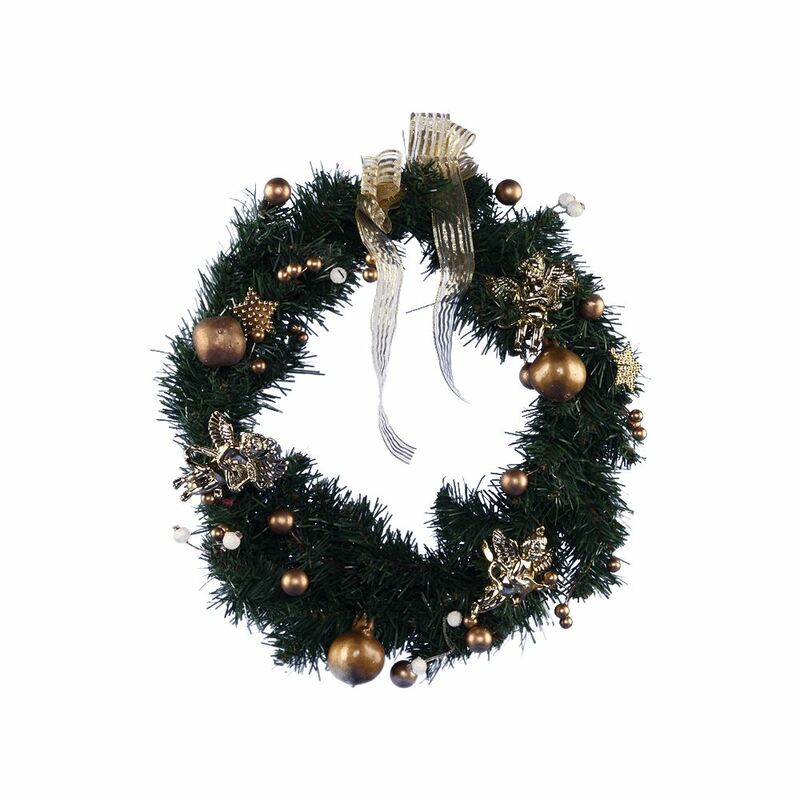 This beautiful wreath has at least 3 darling cherubs complemented by gold baubles, stars and an oversized bow. 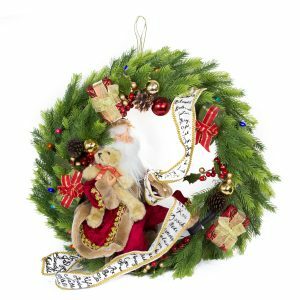 Dressed wreaths are an easy and convenient way to deck the halls this holiday, and this wreath captures the joy and love of the festive season. This would be lovely on a mantle, front door or as a centrepiece for your Christmas table.